The pool deck located directly under the Spa Tower, as well as Cabanas #16-21 are designated as non-smoking. Lounge poolside in a serene setting and feel refreshed in this outdoor, Mediterranean-style haven. Indulge in an exclusive poolside experience with access to a personal host and elevated amenities. Spend the day enjoying one of our plush, premium daybeds conveniently located on our main pool deck. Turn your day poolside into an A-list experience you won’t forget by booking one of our exclusive Pool Cabanas, unlocking access to a range of upgraded amenities. 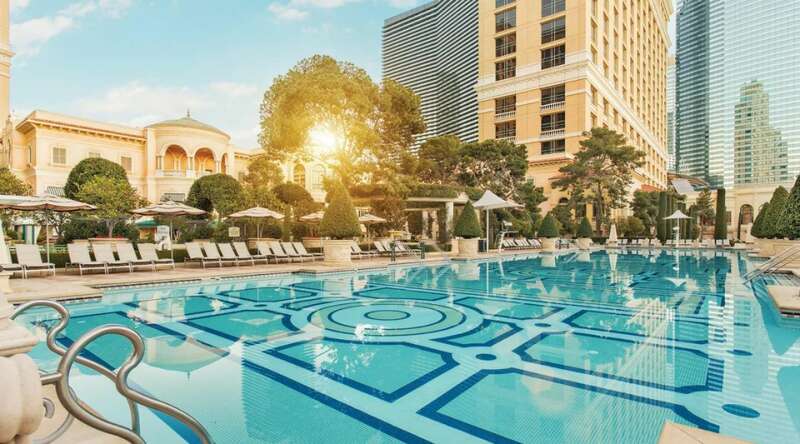 As the summer sun heats up, the Bellagio private cabanas are the ideal setting to enjoy the season in pure relaxation. Lounge poolside in a serene setting and feel refreshed in this outdoor, Mediterranean-style haven. Enjoy the privacy of the cabanas with friends and family and treat yourself to the lavish amenities that are standard in these poolside retreats. A personal Cabana Host is available on hand to service all your needs during your day in the sun. 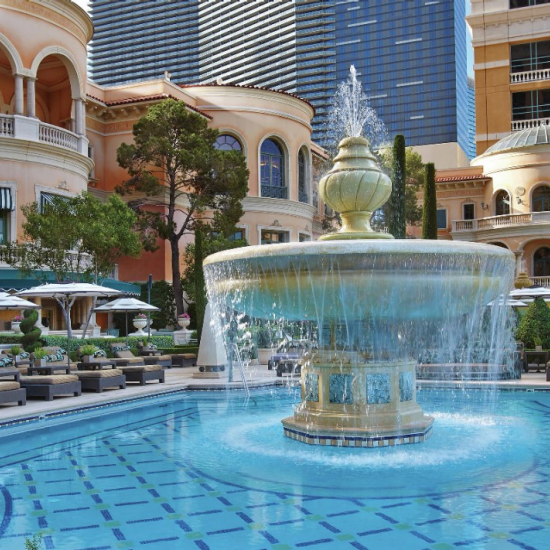 Everything you could need and want for a most satisfying day out is thought of at Bellagio. All cabana locations will be confirmed the morning of check-in. No outside alcohol or food is permitted in pool and cabana areas. Reservations: 702.693.7075 or 866.906.7171 or click here. non-smoking. Please indicate any preferences when submitting a request. Reserve your ultimate poolside experience and enjoy access to a personal host and upscale amenities. When privacy and service are paramount, the exclusivity of Cypress Premier Lounge is the choice for your day by the pool. Enjoy exclusive amenities and personal service. Indulge in a poolside experience that is like a retreat unto itself. Secreted away among verdant foliage, Cypress Premier Lounges are part of an intimate, private garden where the luxurious setting is complemented by impeccable, personalized service. Reserve your plush, comfortable lounge chair or daybed – held exclusively for you during Cypress hours of operation – for an experience that is both free from care and beyond expectations. Reserve your plush, comfortable lounge chair or daybed – held exclusively for you for the entire day – on one of our main pool decks. 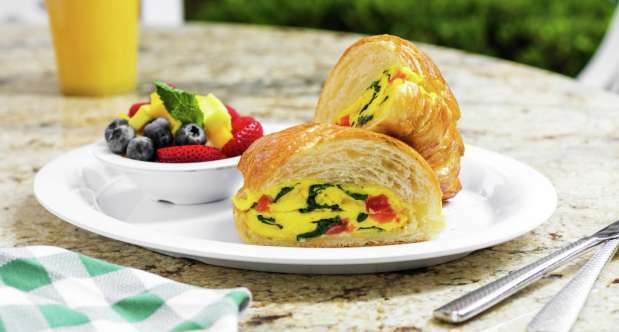 Enjoy a juice or a breakfast selection from our menu that includes healthy wraps, delicious muffins, pancakes and brioches, and seasonal fresh fruit and berry plates. A custom-tailored massage with your choice of aromatic oil, performed in your cabana or ours. The absolute best way to beat the heat and get pampered at the same time is in the pool! Relax on a float and drift into a state of bliss as you receive detailed hand and foot work. Let our massage therapist help melt away the tension without ruining your tan! Poolside, at the convenience of your lounge chair. Extended time available upon request. Transcend delight and indulge relaxation as your therapist restores and refreshes your feet with a relaxing exfoliating ritual followed by a detailed foot massage. Hand, neck and shoulder work included. Rejuvenate your tired legs and feet with our tropical fruit treatment. Relax poolside while your massage therapist cares for your sore feet with coconut sugar scrub, pineapple oil and fresh orange slices for a taste of paradise in the desert sun. Sunscreen application from one of our talented massage therapists, to protect you from the burn of the desert sunand soothe away some of your aches in the process. Stay cool while your massage therapist incorporates cool marble stones throughout your treatment. Cooling eye hydra-gel mask application to lift and hydrate tired eyes during your massage. Add on aloe vera application into your massage as the perfect remedy for parched skin after a long day in the sun. Let us pamper your feet with our coconut sugar foot scrub. For details and to schedule an appointment, see a Spa or Salon Receptionist or call 702.693.7472. Please inquire with a pool attendant for treatment location. Services offered at the pool are seasonal. Must be 14 years of age or accompanied by a parent or guardian of at least 18 years.